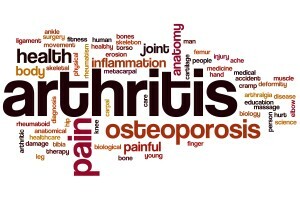 Arthritis is a condition which we often consider something that is developed as we get older but this isn’t always the case. Juvenile Idiopathic Arthritis (JIA) is an inflammation of the joints, one or more, which first occurs before the 16th birthday of the sufferer. JIA is a condition which is more common in girls by a small margin and usually occurs in preschool children or teenagers. It is a particularly difficult condition to live with in the teen years as you move from childhood to adulthood and want to be more independent. The majority of people grow out of JIA but it can lead to other kinds of arthritis and a small percentage of young people do have other forms of arthritis. Speaking to a doctor will help speed up the process of diagnosis and help ensure you get the treatment you need. A chronic health condition can result in low mood and this is particularly the case for young people who are trying to move ahead with their lives and feel different from their peers. It can lead to feelings of isolation and whilst this is entirely normal and not uncommon, it can be helpful to have someone to speak to, whether this is a family member, friend or a professional service provider. It is important for your mental wellbeing that you talk about the condition and how it makes you feel as it can help make the condition easier to manage. Living with any kind of arthritis which makes you feel different to your peers is difficult to come to terms with and especially when you’re already going through the transformative period that the teenager years are. Following your treatment plan and talking about the condition really can help.